Create a lasting impression on the lake with Dollar Signs high quality boat signs and graphics! We offer local, affordable and quality graphics for boats. 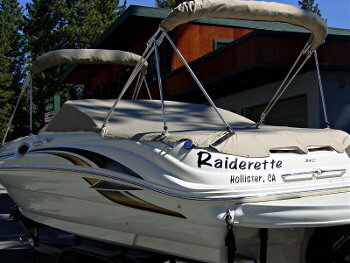 We can also create customized graphics for your boat including names. We will also professionally install them for you so they go on right. From design to installation, we will design a custom name graphic for your boat that will last up to the elements.